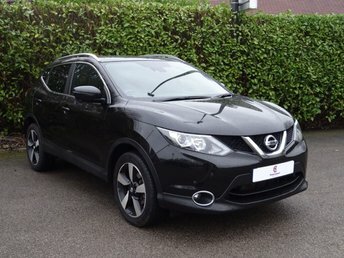 Options such as the curvy Juke and sturdy Qashqai SUVs are amongst the most popular Nissan vehicles, and at Motor Connect Ltd (Northwich), we are proud to offer the best quality used Nissan cars in Northwich, including a selection of SUVs, city runabouts and more! Whether you’re looking for a fun and quirky city car, a spacious family hatch, sporty crossover or even a demanding off-roader, Nissan is a brand worth consideration. The innocent-looking Micra is a class-leading compact, while the company’s tougher Juke set the standard for crossover vehicles, remaining particularly popular in the used car market. Explore the entire range of used Nissan cars for sale at Motor Connect Ltd (Northwich) here on our website, or why not pay us a visit in Northwich today? Our friendly showroom team are always on hand to help you find the perfect model for your budget!